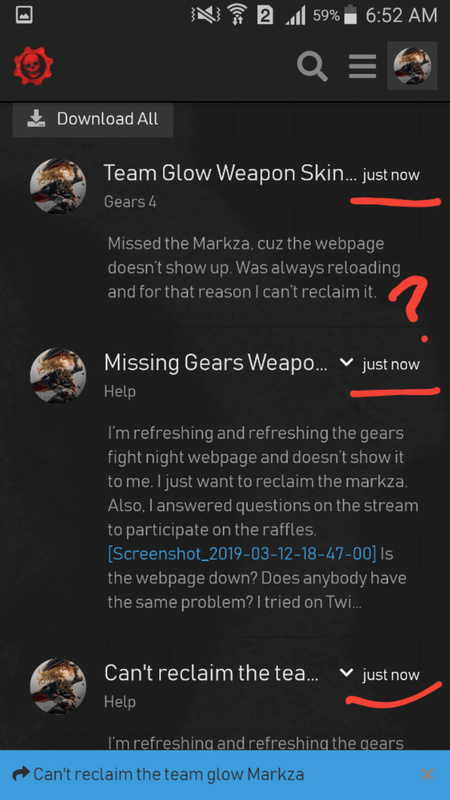 Can we get I second tomorrow to claim the Team glow Markza. 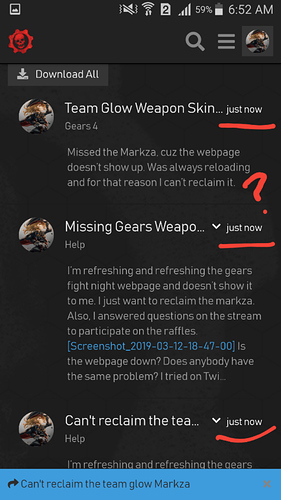 Because, I don’t want to have my Team Glow weapons uncomplete. 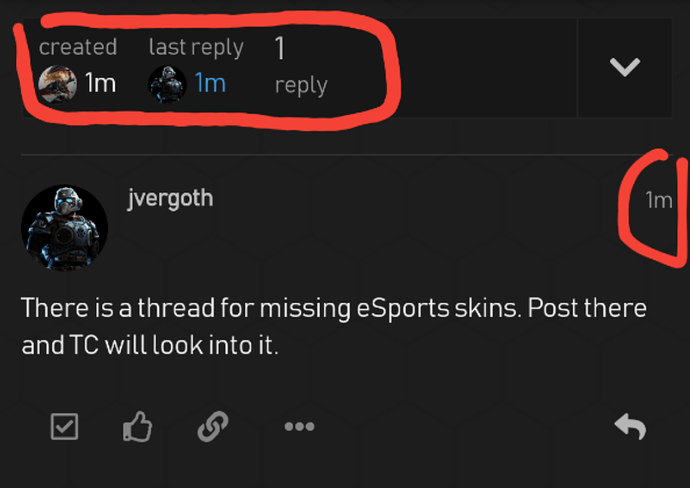 There is a thread for missing eSports skins. Post there and TC will look into it. Hi. I did that yesterday, but I also find another problem. I don’t know why I see other users and my messages with the time frozen. (see it below). This is weird, is impossible to send 3 messages at the same time. The timer is not running and that makes me not to see new messages from others. I checked other areas of the webpage and runs normal. 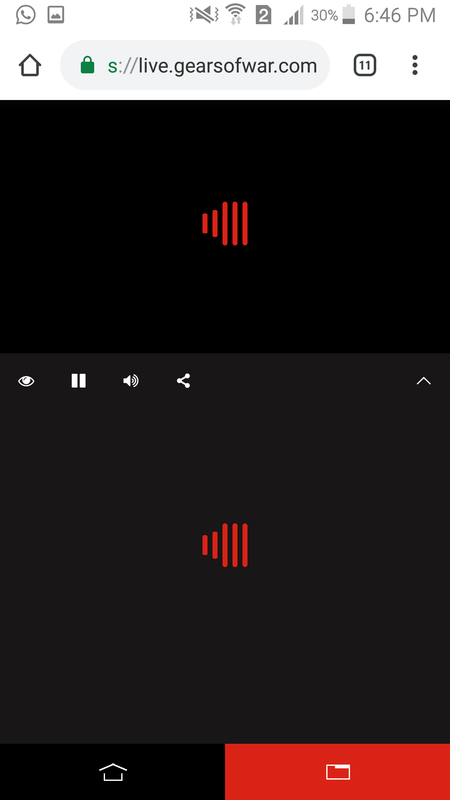 But I have no idea why I cannot see the streaming of TC on Mixer, Twitch or MLG. I hope the problem get solve to be able to reclaim the workshop sniper skin. Truely strange. I hope this gets resolved for you.